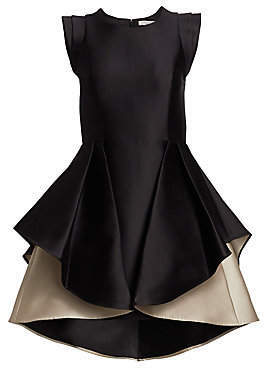 Dramatic pleats with an inverted origami fold define this smooth satin mini dress. 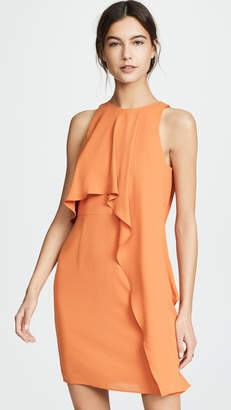 Roundneck Ruched shoulders Sleeveless Concealed back zip Fully lined Silk/polyester Dry clean Imported SIZE& FIT Mini a-line silhouette About 34.38" from shoulder to hem Model shown is 5'10' (177cm) wearing US size 4. 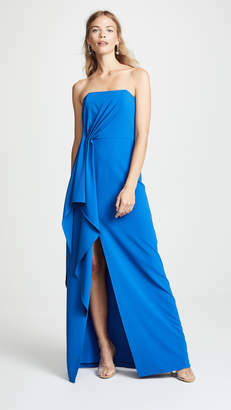 Dress Collectio - Contemporary Evening. 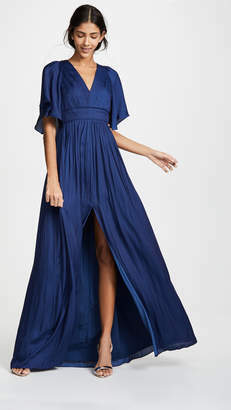 Halston Heritage. Color: Black Champagne. Size: 0.